Cynthia Longfield was 94 when she died at Castle Mary, Cloyne, the place she had always considered home. In those 94 years she had seen five continents, become a world authority on the Odanata (dragonflies), been actively engaged in two world wars, taken a keen and scholarly interest in all the natural sciences and met an extraordinary range of the worlds people. This was not a career her parents could ever have envisaged when Cynthia was born in Belgravia, London, on August 16th 1896. Her father, Mountifort Longfield, was the owner of a substantial estate in County Cork and it was a disappointment for both him and his forceful wife, Alice, that their third child was also a girl. Mountifort wanted a son and heir. Nonetheless their three daughters were lively, pretty children and were brought up as if they too, like mother, would become the chateline of a country estate. 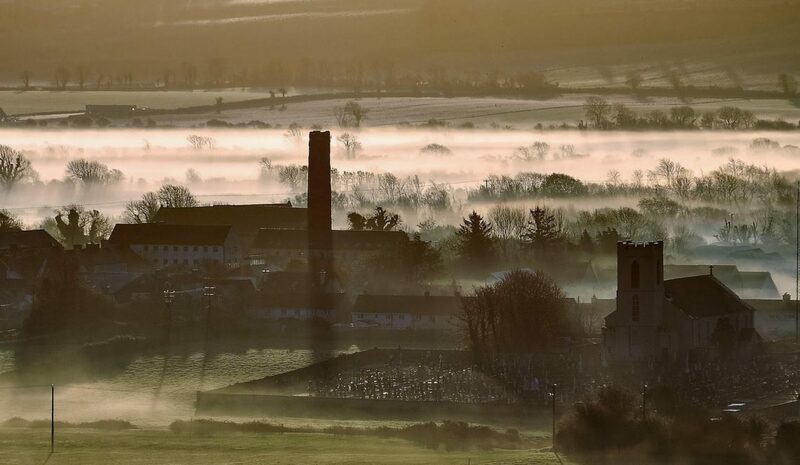 In May 1920 Castle Mary, the beloved home, was burnt by rebels. This was a crushing blow to Cynthia’s father. Like most of the Anglo Irish ascendancy, the Longfields considered themselves Irish. In 1923 she had the chance of a lifetime. Answering an advertisement for caterpillars, she met Evelyn Cheeseman at the London Zoo and discovered that Evelyn needed a female companion on the St. George expedition to the Pacific. For a year and a half they sailed from island to island, collecting for the Natural History Museum. From the Pearl Islands, Gorgona, Galapagos, Cocos, the Marquesas, the Taumotus, Tahiti, Rurutu, Rapa and the Easter Islands they brought back a large collection of insects. When she returned to Britain, Cynthia began work at the Natural History Museum in London, sorting the collection. She became an associate member and, although unsalaried, worked there daily at her desk unless she was abroad, until her retirement in 1957. Instead of marriage, Cynthia devoted her adult life to entomology. She sorted, described and named, not only her own collections but the endless specimens sent in by enthusiasts from all over the world. When Montifort died in 1929, the eldest sister inherited Castle Mary. Cynthia became a voracious traveller. First on her allowance, then with a legacy from her father she made extensive collecting trips throughout the tropics, Canada, East Africa, Kenya to South Africa, Uganda and Zimbabwe. In the Bwamba region of the central rainforest, she contracted malaria. Upon the outbreak of the Second World War, Cynthia joined the Auxiliary Fire Service. At first as driver, she was soon in charge of the telephone switchboard directing the nightly firefighting from one site to another as the bombers kept London ablaze. Cynthia’s journeys brought new specimens of dragonfly to the Museum. Between the two African journeys, Cynthia published her first book. The Dragonflies of the British Isles (Warne 1937). At the time of publication, it was the only available handbook on the British Odonata and soon became a standard work. Cynthia assigned popular names to the species hoping this would help to arouse more interest in the order. 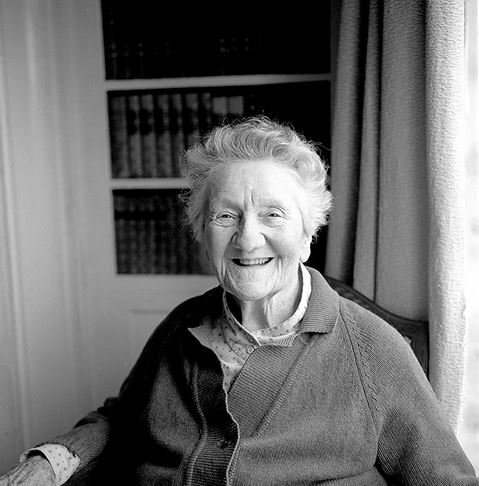 In 1957, at the age of 60, Cynthia gave up her desk at the Museum, left London and went home to Ireland. She settled in the Park House on the Castle Mary estate. 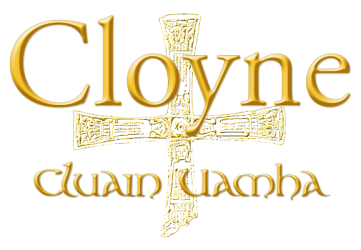 This article was adapted from The Book of Cloyne, edited by Padraig Ó’Loingsigh. Keep an eye out for this dog. He was last seen at 11am in Ballycotton Silver Strand. Keep him secure if you see him and call the number below. We would like to wish all our followers the very best for 2019. Thank you for your continued support to help improving life in our community and we hope more of you will get involved in the new year. Message received by the page. Please support! Could I ask a favour please? Could the following be posted to the page please? Could I ask for 3 seconds of your time to vote for St. Colman’s Community College in the Irish Wildlife Trust National Biodiversity Awards. It will only take 3 seconds of your time. No sign ups or emails given. Just simply vote for Project F. Let me know that your seeing this in the comments section below by saying “done” when you’ve voted. Thank you so much in advance.